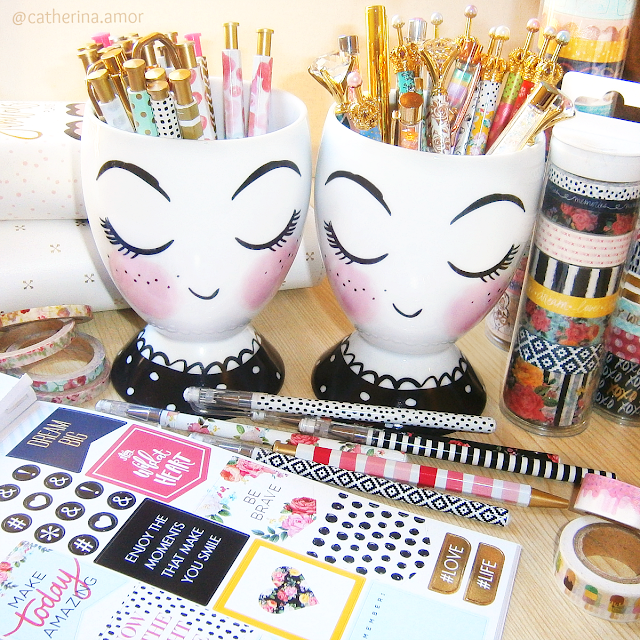 This just in: I now have two of these cute Target USA cup or planter or what I use it as... a pen holder. Thanks to one of my planner buddies over there in America - she was kind enough to get another one for me. Apart from the pen holder, I received more washi tapes, sticker books and pens - from Hobby Lobby this time. 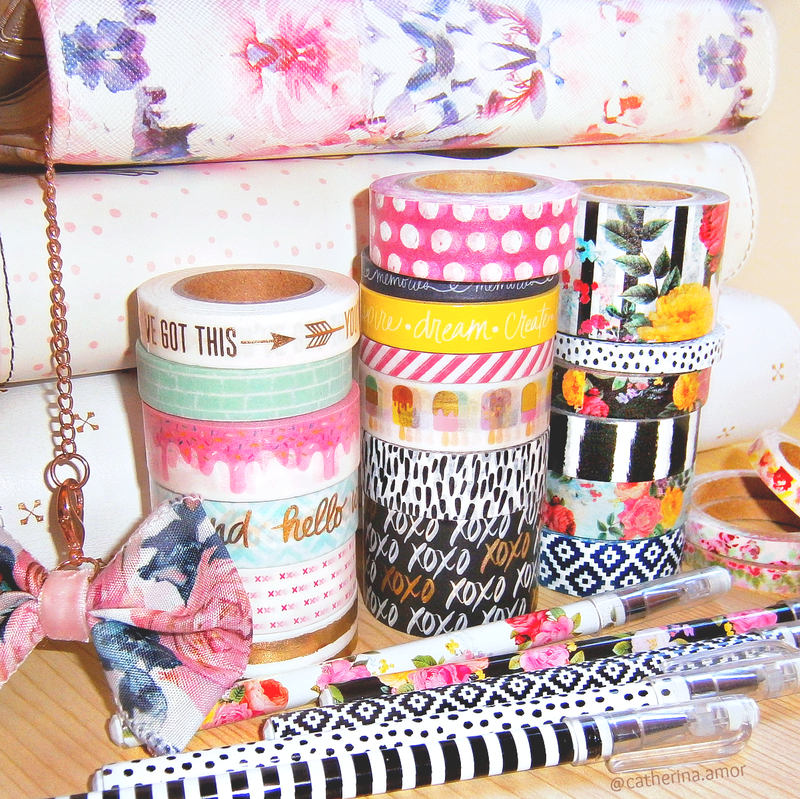 Loving these floral and stripes designs! They all go well with my planners.